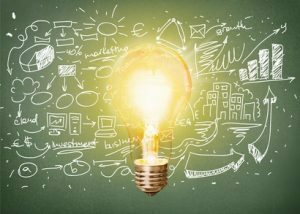 This One Millimeter Mindset™ professional innovation blog post review focuses on some big ideas and thorny issues all of us wrestle with in our careers. After all, becoming a business, quality, technical, engineering, you-name-it professional of worth takes continuous improvement. Not only that. We fuel our continuous improvement, self-improvement mantra with our innate, relentless curiosity. We are thirsty for truth. In addition, we are curious about deep-diving into the other perspectives about that truth. Consequently, we are best able to honor all the perceptions around the business table. Because, depending on where we sit, we all see the same things differently. I have three questions for you to determine whether you are ready to utilize One Millimeter Mindset professional innovation. Move one millimeter beyond your current comfort level. Learn how this mindset can catalyze professional innovation. Are you a small to midsize business CEO, wrestling with the issue of whether or not your business model is robust enough to scale? How will competitive challenges also challenge your ability to lead? Are you constantly selected to be part of the world’s most dysfunctional teams? Have you ever considered leading through translational storytelling, instead of following the status quo? Are you an accomplished professional, who is underappreciated and often marginalized because you boldly present ideas and are not intimidated by job titles? How will you move from being considered as an order-taker into a more innovative position, perhaps in a different organization? Here are my top One Millimeter Mindset professional innovation blog posts from 2017 to get you thinking from a new perspective. Professional Storytelling or merely Professional Bragging? Is Your Professional Word Your Bond? Would you like to learn how to leverage collaboration to catalyze professional innovation and the type of workforce engagement that positively impacts customer success and customer retention? I have some workshops which will be an excellent way of moving you, your teams and your organization forward from what is holding you back. Contact me and let’s discuss your ideas.